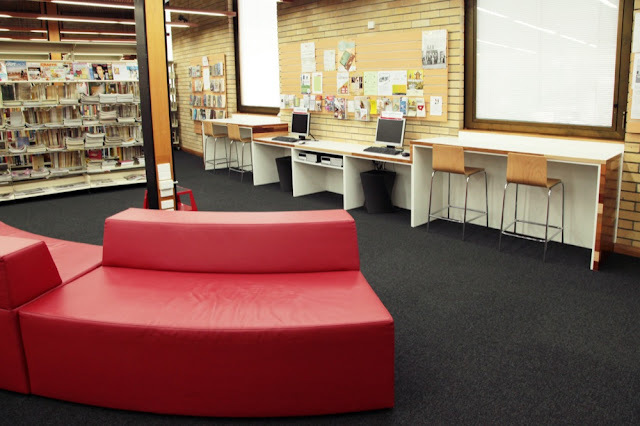 Following on from the circulation desk Pinkerton completed for Maitland Library last year, we were engaged to provide a complimentary desk for a number of computers. The desk is built into the sweeping curve of the building, meaning Stu had to remember all those sin cos tan things from high school to work out the design. Better him than me! 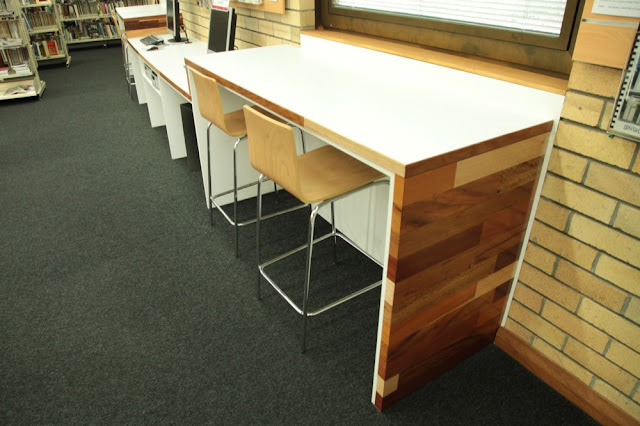 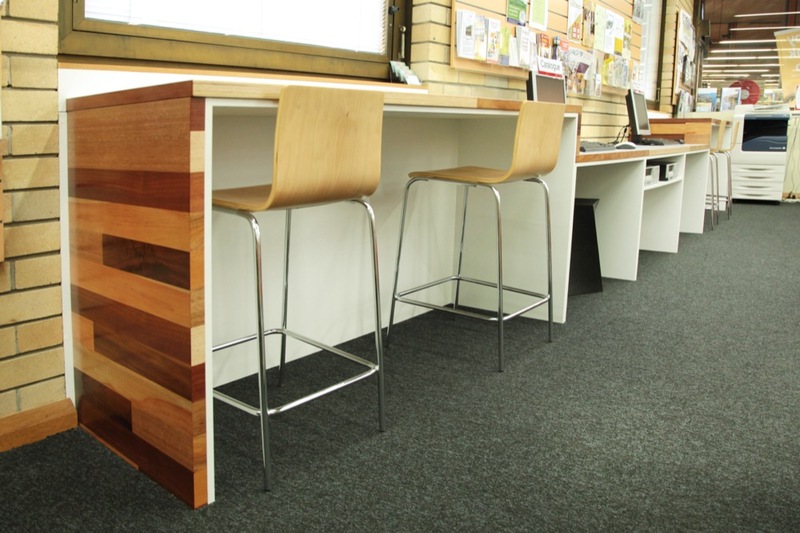 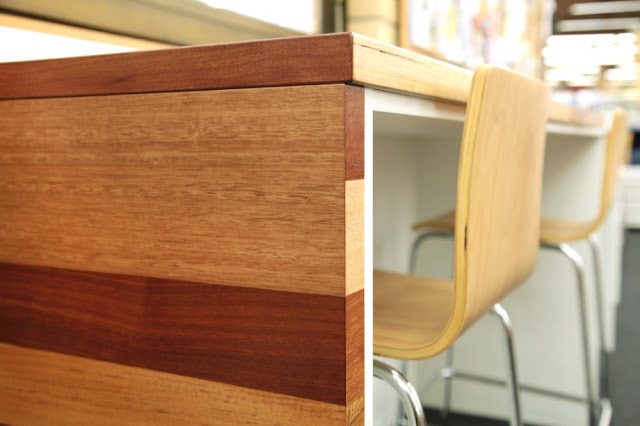 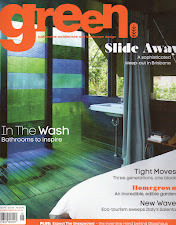 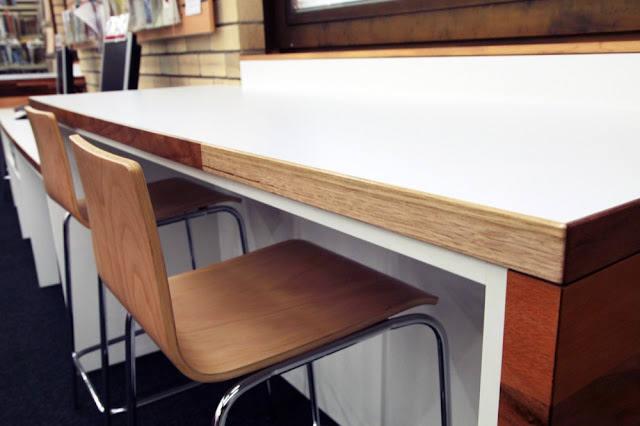 The side panels feature a range of Australian recycled timbers to match the circulation desk.